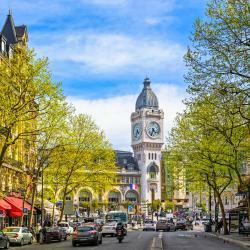 Looking for hotels near Robespierre Metro Station? Loft Fraternité is an independent apartment with a terrace in the private garden, 1.9 mi from the Chateau de Vincennes just outside Paris. Free Wi-Fi access is provided throughout the apartment. Located in the east of Paris, this 4-star hotel offers suites with free Wi-Fi access as well as Canal + and BeIN Sport channels. Hotels with great access to Robespierre Metro Station!